Your aquarium provides the greatest pleasure when it’s fresh, clean and well managed. But a busy schedule can keep you from giving it the attention it deserves. Now is the time to call professional, experienced and dependable help – Suncoast Pets. Ever seen a fish smile? Then you haven’t called Suncoast! Our Aquatic Engineers are professionally trained to provide high quality, regularly scheduled service for your aquarium – fresh or salt. 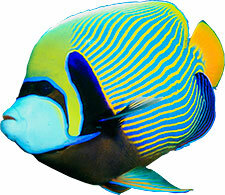 Your appointed Aquatic Engineer is focused not only on the appearance of your aquarium, but its health, too. If you’re more of the “do it yourself” type, our Panama City Beach Pet store carries everything you’ll need to keep your aquarium in pristine condition. This includes chemicals, salt mix, equipment, test kits and even pre-mixed salt & fresh Ro/Di water! At Suncoast Pets, we’re constantly running water through our extensive RO water unit. All you need to do is come by and we’ll fill your containers with your choice of water – salt or fresh. This will ensure your aquarium has the best possible water around and a healthier, happier tank.